I had the opportunity to check out the Catersource Convention in Las Vegas this past week. It’s a very interesting industry event that covers topics from party planning to event décor and everything in between. Who did I find in the mix? My friend and baker James Rosselle, he was making an appearance. He was manning the Fondarific booth with owner Lois Judy. 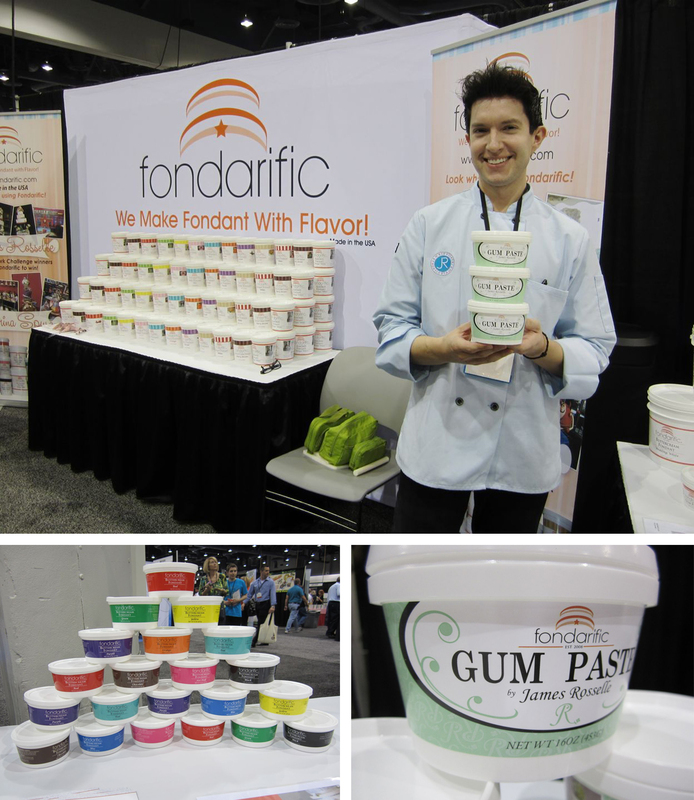 Fondarific is what James chooses to fondant his cakes in and even has his own product with the company. I had the opportunity to try a few samples (orange and cinnabon, both really yummy!) and Lois demonstrated for me how thin the fondant can be rolled out. It seemed like a pretty easy product to work with. There are lots of different flavors to choose from and the colors are really pretty. Besides, James seems pretty happy with it. So lovely seeing you two together! ← Sugar Flower Class Alert!! !